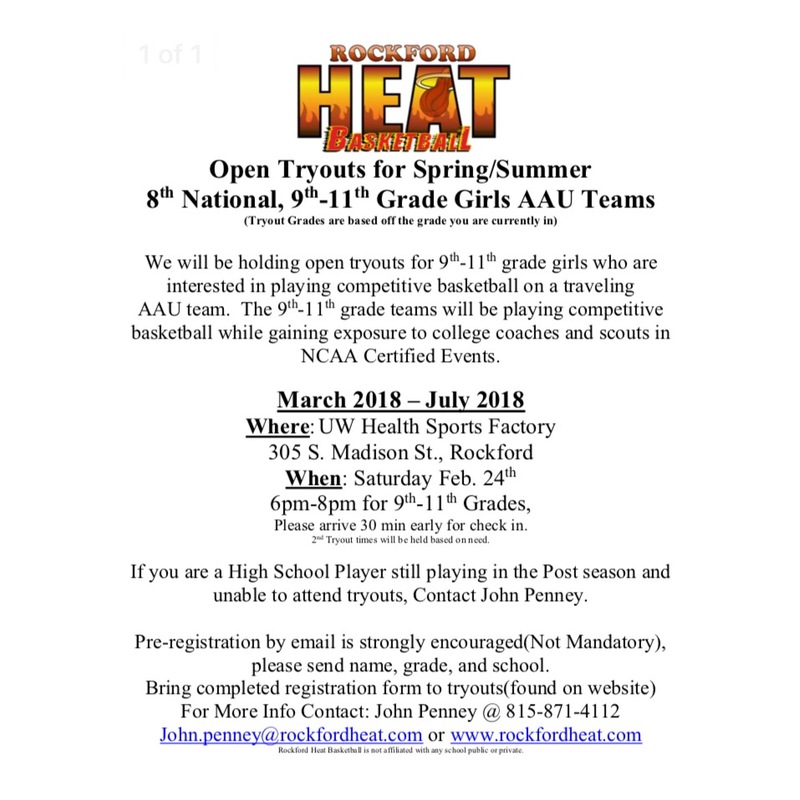 Heat High School Girls Summer Rosters Posted! 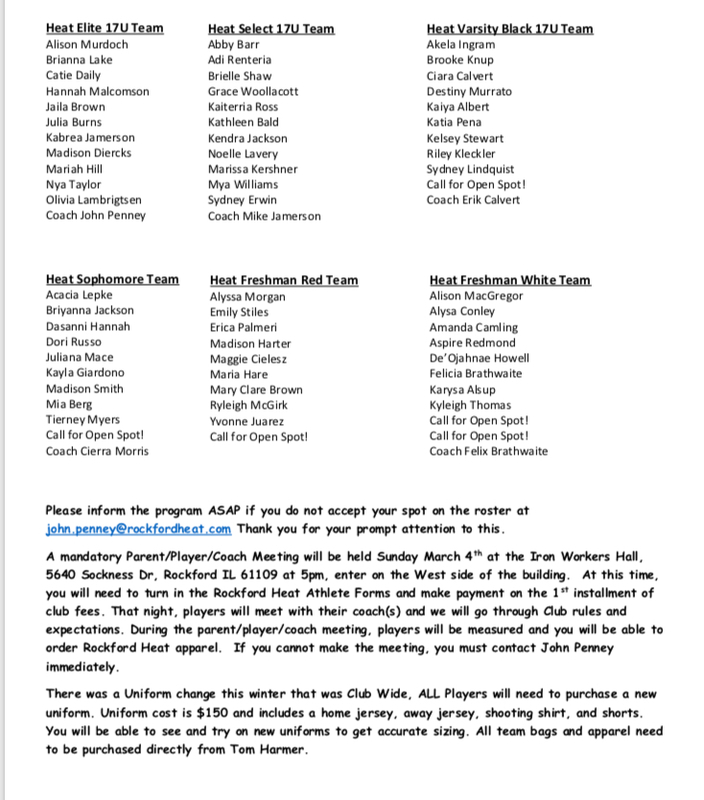 Heat 8th Girls National Summer Roster Posted! Girls 8th National and High School Tryouts Announced! AAU team. The 9th-11th grade teams will be playing competitive basketball while gaining exposure to college coaches and scouts in NCAA Certified Events. Pre-registration by email is strongly encouraged(Not Mandatory), please send name, grade, and school. Heat Players Play In NIC 10 Freshman Season End Tourney! Congrats to East winning over Hononegah at the end of the season NIC 10 freshman tourney held yesterday at Boylan! It was a great game that came down to the wire with East pulling through in the end! Great job to all the present and future Heat players on both teams! 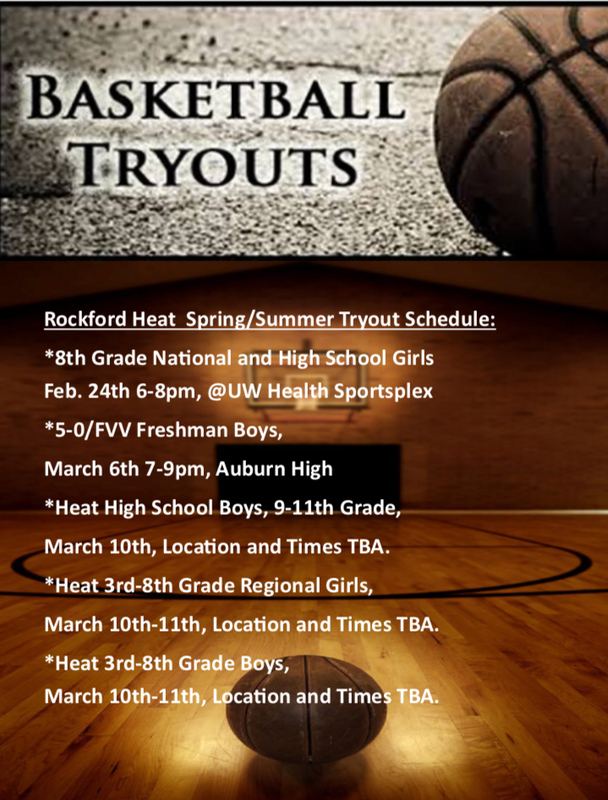 Freshman tryouts start on March 6th for the FVV/5-0 tryout and the Heat tryout on March 10th. 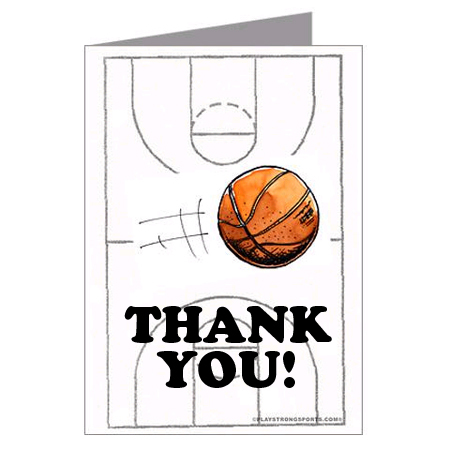 As the 2017 Spring/Summer/Fall/Winter(runs March 2017-Feb 2018) seasons come to an end for the Rockford Heat Boys and Girls Basketball Club, I would to take this time to thank all the coaches that put their time and effort into each and every one of the players this season. Most of these coaches have become very close friends of mine, and I can’t tell you how much time and energy they put towards the players in the program to help them reach their full potential. 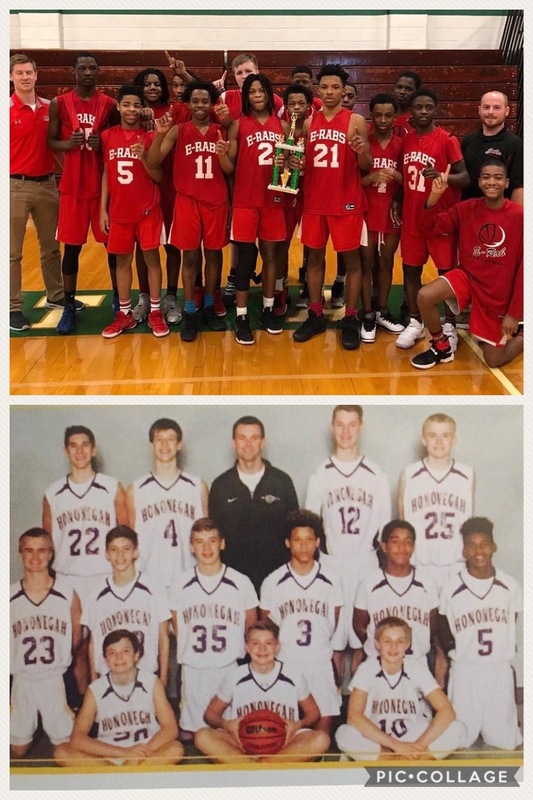 First I would like to start with the Boys side: Coaches Dave Buelow, Jake Rousch, Mike Jamerson, JC Coleman, Eric Calvert, Scott Britnell, Avery Johnson and Scott Wigton. On the Girls Side: Robert Bankes, Veto Santini, Cary Proper, Mike Jamerson, Jeff Fago, Chris Hare, Jesse Schiro, Bill Lavery, Dave Guse, Eric Calvert, Wendy Lambrigtsen, Scott Wigton, and the many assistant Coaches for all the teams. This year has been unprecedented in growth in numbers and collegiate athletes. As we grow, the Club will continue to learn from our mistakes and improve in the areas that have been weak. Thank you to our Premier Sponsors: Painters District Council #30, Northwestern IL Building Trades, IBEW Local 364, Teamsters Local 325, Advanced Disposal, Winnebago County States Atty Joe Bruscato, and Rockford Lutheran High. With your help, Rockford Heat has helped athletes achieve over 4.1 million in college scholarships for our athletes to play college basketball while studying for their education. AAU team. The 8th National and 9th-11th grade teams will be playing competitive basketball while gaining exposure to college coaches and scouts in NCAA Certified Events.